The virtual platform offers a plethora of opportunities to budding entrepreneurs who want to make it big in the international market. And a website is a vital part necessary for the success of all your marketing and branding efforts. Mentioned below are some common ways by which small businesses can get their own professional websites. Take help from web experts. You can hire a web development company to create and manage your website. Hiring a professional though expensive guarantees efficient framework and easy functionality. However these companies usually take a generalised approach and don’t really offer customised services. Build your own website. Another way of getting a professional website is by creating your own webpage using the many site builders online. From registering your domain name to web hosting and designing the layout everything is exactly the way you want it. 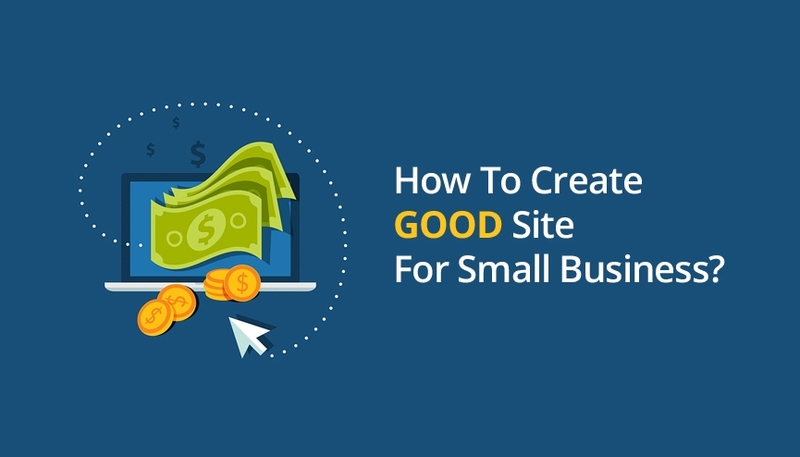 Also creating your own website saves you a lot of money and extra effort. Choose a domain name and register it. Plan out the web pages and overall layout. Create a unique logo and brand value. Follow the systematic step by step procedure in the site builder. The cost of hiring professional web developers is a major blow for any small scale organisation. Thanks to the many site builders online you can save on the cost of getting specialised assistance for building and managing your website. Robust, responsive and very easy to work on, a website builder requires no technical expertise or special coding skills. Website builders are a boon for the budding businessman, avail the benefits of top notch website development without spending a rupee! If you want to create a fun, interactive and attractive website without having to deal with the complicated coding then Wix is the go-to site builder for you. Featuring a set of industry specific tools and professional designs, this platform covers almost all niche markets such as small scale organisations, photographers, bloggers and more. Also the new ADI (artificial design interface) feature allows you to automatically create a website in a few minutes. Other than that the site builder even offers free web hosting and custom domain, SEO improvement (AJAX technology), add-on tools, over 500 templates and 3D graphics for a comprehensive website development. Check out the App Market that helps you insert surveys, social media streams, newsletter forms and other third party integrations. The short term pricing plans features a free plan for DIY web enthusiasts. About 500+ templates and readymade layouts and images to choose from. The Wix App Market allows real time integration and live support. The ADI feature is comprehensive and time saving. The open source network is compatible to all platforms and device. Solid e marketing tools and CRM support. 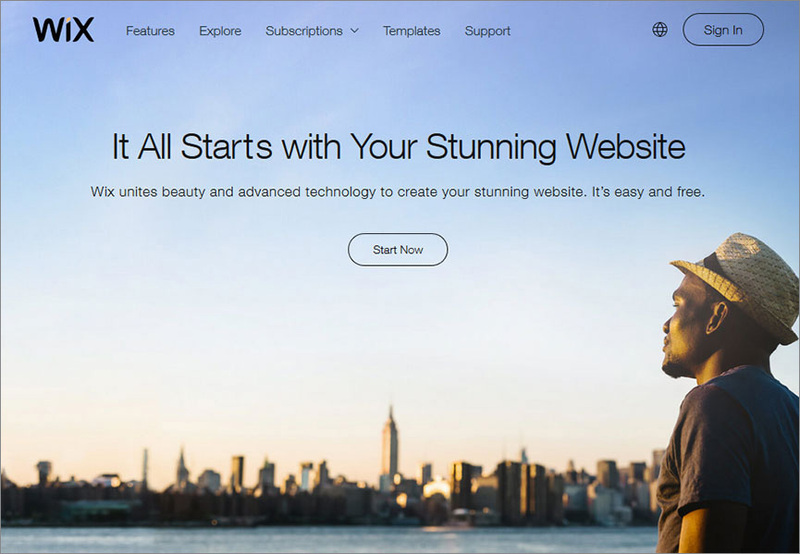 Wix is an all-inclusive site builder that offers amateur web entrepreneurs a lucrative opportunity to create beautiful and professional quality websites. 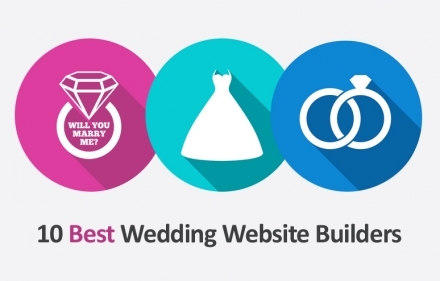 Weebly is a free website builder that is known for its simple operation and lucrative offers. Armed with a set of high tech tools and over a hundred templates Weebly has a simple drag and drop interface that is responsive and easy to operate. Also you don’t need to download any plug-ins or additional software to run it. The pre-installed CMS and HTML file support is compatible to both amateur and professional web entrepreneurs. Most businessmen start small at Weebly and gradually upgrade to better and complex platforms. And the additional SEO improvement features, e-commerce tools and high quality encryption ensures total safety and efficiency. Smart plans and pricing options (starter free plan, pro plan, premium plan and business plan). Free web hosting and custom domain name. Very compatible to all platforms (android, windows, and IOS) and devices. Extensive archives of readymade layouts and over a 100 graphic files. Unlimited storage, powerful encryption and free accessibility. E marketing tools such as CRM, Inventory management, email marketing and SSL function. 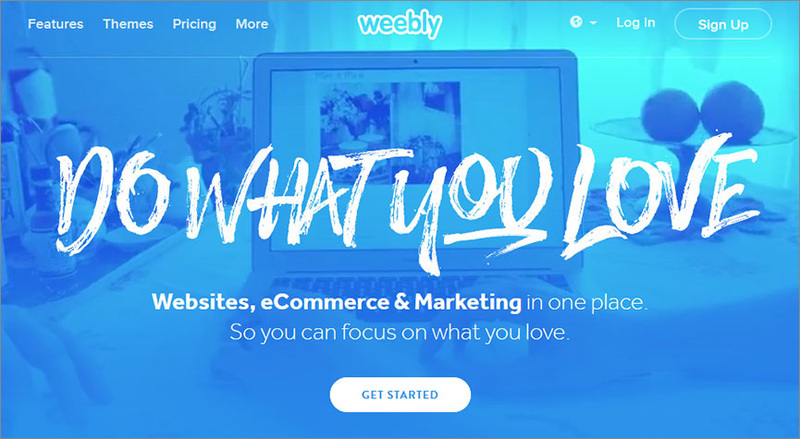 A versatile and flexible site builder Weebly is ideal for newbies who’re still learning the ropes of ecommerce and online marketing. A comprehensive platform to launch your business idea, the site builder allows both convenience and control. Shopify is a Canadian based company that offers an all in one e commerce solution for all your marketing problems. 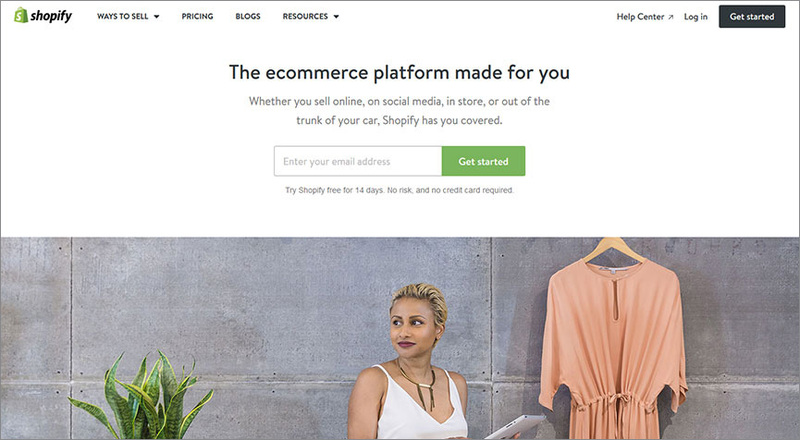 One of the best hosted ecommerce platforms, Shopify provides everything you need from end to end. You can build a simple, interactive and professional quality online store that features all the top functions such as inventory management, CRM and SEO improvement, and Shopify Meta Manager. You can even download the Shopify app for a more enhanced and diverse robust interface make Shopify a user friendly site building option. This platform is especially great for budding entrepreneurs and start-ups. Easy to use and manage, you don’t need to be an expert in coding or web designing. A centralized dashboard for better control. Free web hosting services and domain name. Marketing perks: integrated SEO tools, CRM solutions, and provision for Google AdWords and Facebook Advertising credit. Vast payment options (cash, credit, net banking, online money transfer and over 70 payment gateways). Powerful, efficient, time saving and reasonably priced. Excellent help and support services. Shopify has all the necessary marketing tools to build a competent, reliable and visually appealing online store. The plans and packages are all quite cheap and simple to operate. 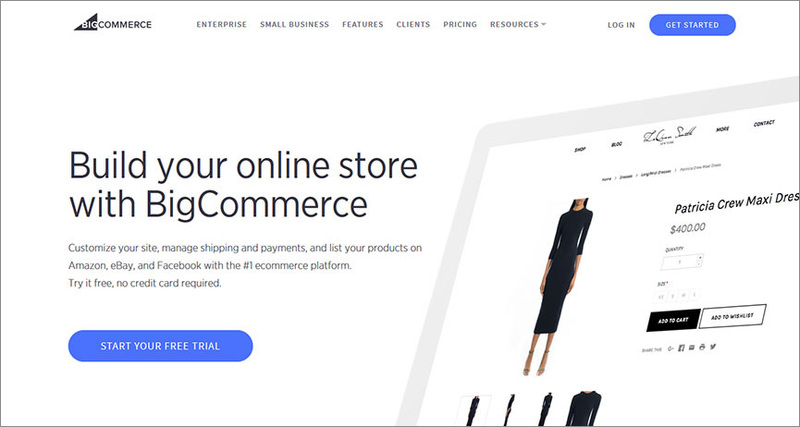 Considered to be among the best ecommerce platforms and site builders in the market, Bigcommerce is an inclusive and reliable solution for all your virtual marketing issues. You get an extensive range of promotional and operational tools for creating top notch online stores from scratch. The site builder is compatible to all platforms and devices and allows easy customisation and editing. Bigcommerce offers 7 free and 76 premium paid templates for decorating the store. Professional web developers can also indulge in modifying the HTML and CSS codes according to their requirement. Plus the app enables faster management and better control via smartphones. You can also apply the high tech e-marketing and social media solutions for expanding the reach of the business. Affordable packages (standard, plus, pro and enterprise packs). Unlimited storage bandwidth and customisable set of tools integrated in the interface. Bigcommerce Next is a mobile friendly platform recently launched to encourage bloggers and businessmen. E marketing tools: convenient monetary transactions and inventory management, CRM and sorting features. The app store offers a more diverse range of tools such as video calling, live analytics and smart accountings functions. True to its name, Bigcommerce offers simple, efficient and solid solutions without compromising on the safety and credibility of your store. 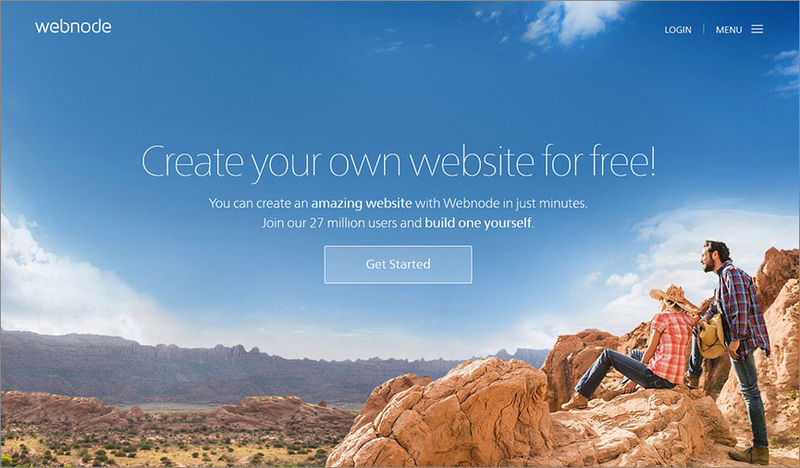 Launched by a Czech company Westcom in 2008, WebNode has quickly become a dependable and user friendly website builder in the market. The site builder recently introduced an upgraded version in 2016 that has a few extra improvements and significant deviations from the older version. The interface is very different from any other ordinary site builder. The webpages are divided into various sections (you get 16 pre-set sections) that hold the individual elements. The customisable tools and templates edit the elements and focus on a single text or image. However the new version doesn’t support blog and ecommerce options. Also the new platform isn’t compatible to IOS and Android devices. Great multi-lingual support (many pre-installed languages). Email marketing and newsletter tools that pick up leads immediately. There are many readymade form layouts that can be customised as per requirement. Wide collection of 34 themes and many graphic images for aesthetic appeal. No monthly bills, you have to pay for the whole year up front. The new version looks efficient and promising even though some of the significant features in the older version have been replaced. 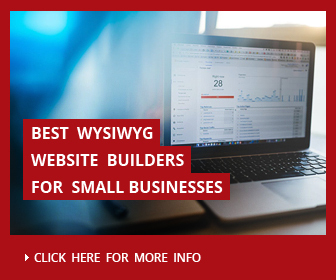 Highwire offers budding entrepreneurs a top quality site builder packed with really cool features. The interface is loaded with customisable tools and templates to create a beautiful, robust and competent online store. And the readymade layouts and pre-set themes cover a diverse range of sector you’ll definitely find something for your store here! Also the free web hosting, custom domain and multi-channel functionality enable small scale businessmen to sell their products on Ebay, Facebook, Google and other huge platforms. You can also edit the HTML and CSS files if you wish to change the basic configuration of the webpage. The platform offers a wide range of payment options such as PayPal, Google Checkout etc. Free web hosting, domain name and Highwire brand support. Allows syncing of data over centralized hub and the cloud storage. Easy management due to multiple channels and increased functionality. Supports bulk pricing, customer monitoring and mobile ecommerce. Easy refunds, abandoned cart reports and round the clock customer support boosts shopping experience. 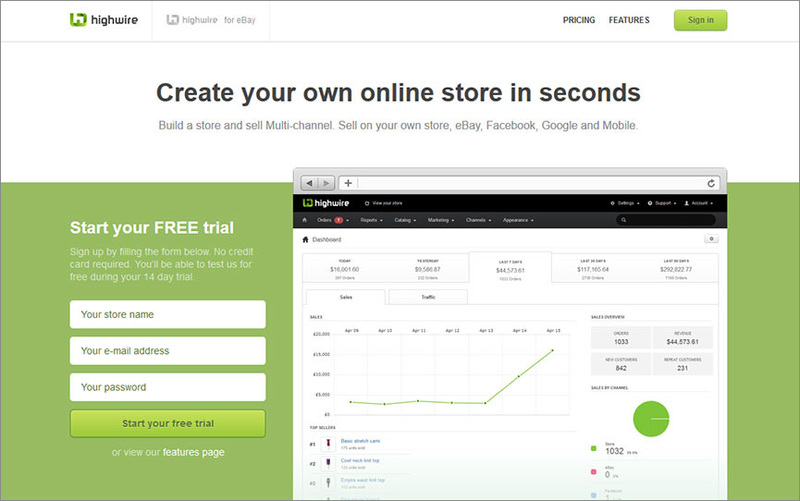 With its flexible pricing system and versatile operations, HighWire is one of the best ecommerce platforms for building online websites and stores. Looking for a competent but fun and upbeat working platform that assists you in expanding your business on the international platform? Well, Jimdo offers just that. Jimdo is ideally suited for foreign clients who want a user friendly ecommerce website builder. This German based company supports multiple languages and has teams stationed up all over the world. Entrepreneurs definitely get great exposure and more diverse customer base at Jimdo than they’ll get anywhere else. Users who have the technical expertise can also try changing the HTML/CSS code for more flexibility. Jimdo also features a built in tax calculator for managing the different currencies and expanding the reach of your store worldwide. It’s a free and functional open source platform that need not be upgraded to a paid platform (yes that means unlimited free usage!). Jimdo allows more exposure helping you build better contacts around the world. Free web hosting, custom domain and enhanced SEO tools improve the appeal of the site. Also the platform is multilingual. A fun, interactive and efficient ecommerce website builder, Jimdo is truly an international platform when compared to its peers. Volusion is a huge ecommerce platform that is popular among both amateur and professional businessmen. From the high tech tools for easy customisation to the premium quality interface everything contributes to creating a successful e-store. With Volusion you can create detailed product listings, sort out inventories and add graphical reports for a visually appealing website that attracts more shoppers. First time users can check out the 14 day free trial version before they pay for the actual package. Browse through the extensive collection of storefront designs and templates that can be easily adjusted with the Easy Editor tool. Also the intelligent robot.txt configuration, if enabled, automatically redirects customers to the error page in case of any technical glitch. Built in SEO tools takes care of the reach and visibility of the website. The multiple layouts and navigational settings add an extra appeal to your stor. Easy optimisation of content with the many social media marketing tools. Simple payment procedures, accepts all conventional payment options. Shopping carts with a smart one page checkout system that enhances customer experience. Additional IOS, Android app for real time management and control. 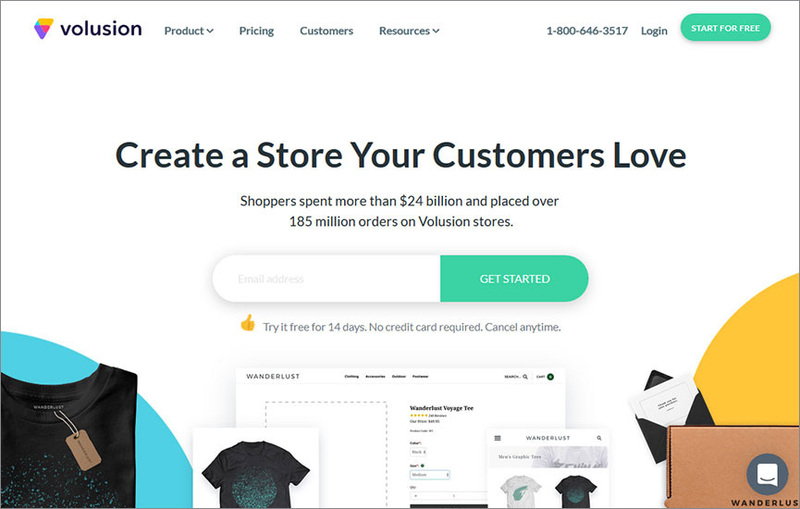 Volusion is perhaps one of the smartest ecommerce store builder in the market that offers a range of amazing marketing ideas for catching leads and boosting sales considerably. What should be considered while creating website for business? The pace at with World Wide Web has pervaded the lives of humans across the globe is phenomenal. A natural outcome of this has been the adoption of World Wide Web as a necessary business communication and sales channel by businessmen across the globe. Today, every business, right from the local skateboard seller across the block to the supermarket giant who has 3 stores within a kilometer’s radius from your home, finds a business website essential. A business website works as a universally accessible contact card, a sales channel, a brand management tool, a marketing communications platform, and what not. No wonders, everyone who is looking to achieve significant business success understands the value of a website. If you’re looking to get your business aboard, here’s all the information you can ask for. What functional features should have a business websites? A business website is a key business asset; you could transform into a sales channel, a marketing platform, a customer service and support portal, and a data repository. Apart from suitable and appealing template, gripping content, and clear information, here are some elements that define a successful business website. Websites with messy and complicated structures are a major turn off for web browsers. No wonders, then, that web designers and entrepreneurs consider a good navigation structure as a key feature of a business website. Look to use intuitive and universal names for important pages, such as Contact Us, About Us, Pricing, Plans, Products, Team, etc. Then, use visual cues to make sure the viewer’s attention is focused on the critical content on a webpage. Top website builders help you by providing smartly designed layouts and templates that enable the presentation of information in an easily consumable manner. For all kinds of websites, ensuring viewers’ and users’ safety and security is a critical goal. With cases of data theft, identity theft, leakage of financial information, etc. on the surge, users are mindful of visiting websites that don’t convince them of being secure. Getting an SSL certificate (means, data exchange between your website and users will be encrypted) is a must. If your website also engages in financial transactions, consider further security measures, seals and certificates such as TrustE, VeriSign, and Entrust. Social media is here to stay, and it will probably outlast you. By taking care of your business website’s social media footprint right from the beginning opens up several benefits for you, right from increased traffic for your website, to brand building. Using a good website builder tool, you can use social media widgets to integrate your website and its hosted blog content to your social media business profiles on Facebook, Google+, Instagram, Pinterest, Tumblr, FourSquare, YouTube, etc. Not long back, web designing meant ‘designing for computer screen’. Today, web designing is about ‘designing for any device with Internet connection’. Add to it the fact that most mobile browsing happens with significant intent of purchase, and you have every reason to make your business website mobile friendly. Responsive website templates allow your page content to adapt as per screen size of the device on which it is viewed. 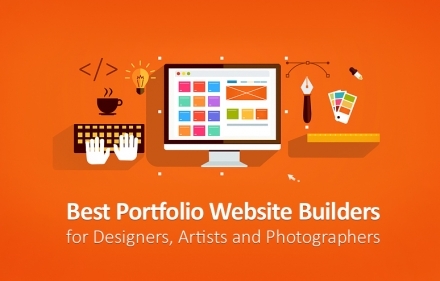 Most web builder tools enable you to create responsive (mobile friendly) websites. Also, if you are looking to develop a solely mobile focused business website, you have dedicated builder tools for that too. Web hosting is not something where you’d want to cut corners when it’s about your business website. Mainstream hosting providers offer reasonably priced packages costing a few dollars a month, accompanied with 24×7 tech support. Firstly, slow loading websites are a turn off for users, hence pushing your bounce rates higher. Secondly, search engines are increasingly tuning their algorithms to penalize websites with bad hosting and slow loading speeds. Thirdly, if bad hosting causes transaction failures on your business website, expect users to lose all intent of purchasing from you. The best designed website, with the best products, at most competitive prices, is barely worth anything if it’s bad on Search Engine Optimization. Everything you plan for your business website, right from the design to the content, from the hosting to the URLs, has got to be aligned to a focused SEO strategy. Whereas website builders offer basic SEO controls along with help text, you’d do well to either read about SEO to manage it on your own, or hire an expert to do it. We cover this in more detail in next section. Exposure to high number of web users, leading to organic traffic. Better brand equity for your business. Related websites would want to link back to your website, hence leading to indirect traffic. SEO content you create for your website can help to energize your social media profiles. Research and identification of keywords you want a certain web page to rank highly for. Creation of web page content, following suggested SEO content best practices, such as including keyword in a meaningful manner, with density between 2-3%, and using them appropriately in H1, H2, H3 tags. Creating meta tags for web pages. Ensuing highly valuable, meaningful, grammatically correct, and error free content. Linking to high value non-0competing URLs to maximize the information quotient of the web page. If your web pages have a fair share of visual content, there is every reason for you to take care of SEO for all images. Provide relevant image description and tags to make search engines take notice. Use hyphens in the URL instead of underscores to separate words. Do not create too many categories in your URLs. Make the URL words as relevant as possible to the content they lead to. Decisions such as the website building tool you use, the web hosting provider, and the web design coding languages you use in your business website can have far reaching impact on how it fares in terms of SEO. A slow loading website is penalized by search engines, apart from causing users to get annoyed and switch to other websites. Mobile friendliness of websites is also a parameter evaluated by major search engines, while deciding the rank of a web page. Cross browser compatibility is a must for good SEO. With adequate and continual focus on SEO, you ensure your website remains in the thick of things, continues to increase traffic inflow, and reaps the benefit of high web exposure. Next up, let’s talk about one of the often ignored aspects of managing a business website – a business email address. Imaging receiving an email from bill@abcmail.com as your account manager allocated by a bank you gave your financial business to. Not too reassuring. Similarly, you’d want to put forth the best face while communicating via email, which is the most used channel for business communication. A business email address, such as yourname@businessname.com immediately communicates that you are associated with the business, and builds trust and comfort with the recipient. Businesses with hundreds (or more) of employees, working form different locations, save a lot of time by recognizing official emails and being able to manage responses accordingly. A business email service provides you better security, ensuring all email communications go through a secure server. This ensures there are no bitter experiences of leakage of critical company information outside the organization. Dedicated business email services offer peripheral services such as storage space, document collaboration options, super-fast upload and download speeds, accommodating limits of uploads sizes, recipient read receipts, meetings and events, etc. Sufficient storage space ensures your employees do not have to delete old mails. This indirectly enables them to quickly access year old records right from their mail boxes. In several countries governments require businesses to keep secure record of all emails exchanges taking place for their business. This is best managed with the help of specific business email service. Most hosting providers allow you a sufficient number of domain hosted email addresses along with apps to manage email functions. Why website builder platforms can be an ideal solution for business sites? We’ve mentioned, quite a few times, about website builders that enable businessmen and entrepreneurs to create functional websites easily, without hiring web developers. Now, let’s tell you what they’re all about, and how they are the perfect solution for any businessman looking to create or improve his/her business website. With dozens of awe-inspiringly beautiful website templates, designed by professionals, available for use, website builders eliminate the hugest creative challenge of website creation. It’s ‘What You See Is What You Get’. The editor interface of these website builders allows you to just position various content elements (text boxes, image slideshows, video play loops, forms, dividers, header, footer) anywhere on the chosen template screen, add content in them, change page colors, backgrounds, buttons, etc, and more. All this is enabled to be done without the knowledge of coding languages. 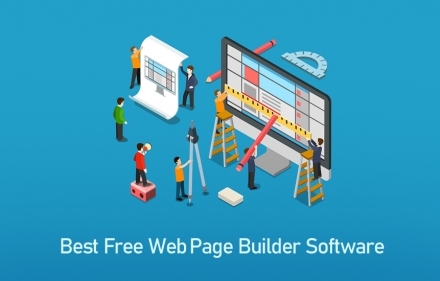 Website builders try to package the entire website creation experience into the tool, leaving businessmen very little, if anything at all, to worry about. Once you are done with template selection and content creation, these tools will help connect you to domain service providers, will allow you to set up basic SEO, submit sitemap to search engines, access dashboard to manage your business data, and of course, you have customer support to get in touch with, in case of queries. 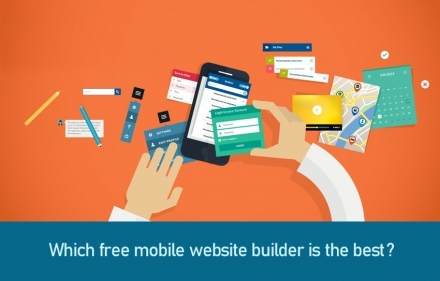 Free website builders for business – is it possible? Limited number of web pages. Website will be hosted on the domain of the website builder tool, example, www.yourwebsite.websitetbuilder.com. You won’t be able to actually sell products. You’d see advertisement banners, or the service provider’s logo on your website pages. Bandwidth, access to templates, liberty to use other value adding features, will all be limited. Of course, the purpose of these free trial subscription packages is to give you a complete experience of the features of the website builder, enabling you to understand and evaluate if it works well for you. Previous storyWhat is a Website Builder and How Does Website Builders Work?